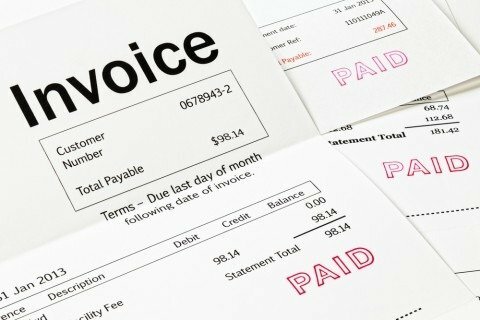 Invoice finance allows you to get an advance on your unpaid invoices. Your business may rely on short term cash flow in order to meet its orders (think fashion, construction and catering jobs). By showing proof of your invoices and orders to a lender means that you can access up to 80% of the cash and repay when your invoice has been settled. In today’s world, there are numerous financing solutions available to SMEs outside of the traditional banking system. One of which is invoice trading which can be a great option for high-growth SMEs that feel like they are continually waiting for payment and are missing out on growth opportunities as a result. Although invoice finance has been around in its more traditional forms for years, it has sometimes been associated with only being used by struggling businesses. However, this has changed in recent years where businesses have started to really unlock the power of invoice finance to fuel their growth. Invoice financing is a general term used whenever a third party agrees to buy a business’ unpaid invoices. Invoice financiers can be a specialist independent company, a bank, or, more recently, a fintech lender. As a company issues an invoice to its clients, an invoice finance provider will advance a percentage of the invoice’s value upfront, and the balance when payment is received, less fees. Within invoice finance, there are three branches; factoring, invoice discounting and invoice trading. Funding Invoice specialises in the latter and offers a fast, affordable and transparent method of raising working capital. What is the invoice finance industry worth? How will invoice finance help my business grow? Cash flow is a big concern for most fast-growing companies that have not yet built up significant cash reserves. Future growth can be stunted as it is difficult to fulfil new potential contracts whilst still waiting for payment from already delivered goods/services. Invoice finance can unlock capital due to companies as soon as they raise an invoice, making it much easier to pay suppliers, rent, and wages on time. Simply, invoice finance can bridge any cash flow gaps, allowing you to fund sales growth and business expansion. All businesses may benefit from the use of invoice finance! It can be a very smart way for small businesses to manage their cash flow from the outset. In total, over 45,000 small businesses use invoice finance as a funding option. It can be difficult for smaller businesses to secure bank loans without personal assets to pledge, however the great thing about invoice finance is a strong debtor book is all you need. 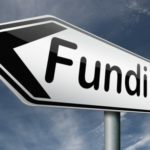 Funding Invoice’s customers range from very young fashion start-ups to engineering companies with £7 million turnover. How can invoice finance benefit different industries? What affects a company’s cash flow can be very industry specific. The flexibility of invoice trading allows it to adapt to a range of different industries. Construction – Invoice finance gives companies access to the cash needed for setting up new contracts on larger projects. These funds would then be crucial for investing in both the materials and the staff required before beginning any new jobs. Wholesale – Invoice finance allows companies to take on orders from new suppliers whilst still waiting for payment from their current customers, and help secure favourable supplier discounts. Recruitment – Invoice finance makes it easier to meet weekly/monthly payroll, and allows companies to not be strangled by restrictive contracts. Film/TV – Invoice finance gives production companies the cash they need for large projects upfront rather than wait months for completion! What is the difference between invoice factoring and invoice trading? The most well-known form of invoice finance is factoring where a factoring company purchases a business’ invoices. A factoring company would usually require a business to sell all of the invoices that it issues. This may be unsuitable for many growing customers who only want to receive funding against a few invoices on an ad-hoc basis. As a result, many small businesses turn to invoice discounting or invoice trading as they need the extra flexibility when it comes to their working capital. Also, factoring providers usually require that businesses sign up to 12 month contracts which usually come with arrangement fees, monthly service fees and hefty late fees. Invoice trading, on the other hand, offers a ‘pay-as-you-go’ service where businesses can raise finance against individual invoices rather than having to sell their whole debtor book. This means an SME can pick and choose which invoices are financed which may mean a lower overall cost of finance. Usually, a business using invoice trading wouldn’t be contractually locked-in to a provider which means that they are free to switch to other invoice trading firms to benefit from the best price and service levels. Another key difference is around the confidentiality of the financing arrangement. When entering into an agreement with an invoice factoring company an SME allows the factor to manage credit control. This may put an unwanted strain on the relationship that the SME has with their customer as the introduction of a third-party isn’t always a welcome one. However, invoice trading companies such as Funding Invoice aim for a much higher degree of confidentiality. In fact, Funding Invoice leaves its customers to chase payment of their own invoices so as not to get unnecessarily involved in the business relationship between our customer and their debtor. How does invoice trading work? How much invoice finance can you borrow? 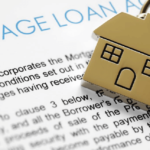 There doesn’t seem to be a standard industry limit in this area as each provider has their own lending limits. 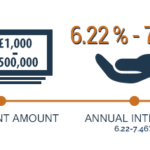 How much a provider lends is linked to the turnover of the company, for example, at Funding Invoice we’re willing to lend up to 20% of the business’ turnover, which could run in the £10,000s, £100,000s or £1,000,000s. There are many factors which can influence the amount of finance you can unlock from your outstanding invoices. It normally depends on your revenue and the strength of your debtor book. Most providers typically advance 75-80%, however, advance rates often increase with a good track record. 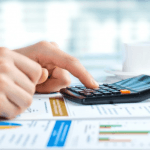 The costs of invoice finance are dependent on the revenue of your business, how long you need funds for, the creditworthiness of your customer, and your provider. Providers can vary a lot in the way they structure their fees. With Funding Invoice, there are no hidden costs – you know exactly how much you’ll be paying before you raise finance against an invoice. This is typically between 2-3% of the invoice’s value. If a customer does not pay an invoice, it is the business’s job to try and reclaim the monies owed. If after a prolonged period payment cannot be collected, it is up to the business to repay back the debt. Some providers offer a ‘without-recourse’ service at an extra cost, this protects businesses against non-payment as the provider will cover the payment. What is the peer-to-peer aspect of invoice trading? Can I get involved? Invoice trading platforms serve as a marketplace matching growth SMEs with investors. Through the platform investors can fund parts of the available invoices, thus granting them access to a secured asset which was previously only available to banks and factoring companies. The great thing about these platforms is the attractive 8-12% annual returns they offer. Invoice trading platforms are only able to work with high net-worth, sophisticated or institutional investors, so if you’re able to self-certify that you belong to one of these categories then this high-yield, secure, and liquid product is open to you!